Flex-a-lite introduces radiators designed with internal fins that perform as heat sinks that absorb heat more quickly from the engine coolant, then radiate it through external fins that increase the tank's radiant surface area three fold. 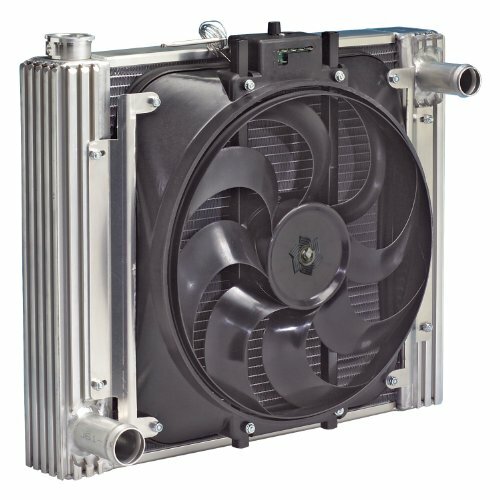 The unique external fin design integrates limitless fastening points into the tank itself, transforming the radiator into a convenient bracket for attaching expansion tanks, electric fans, oil coolers, etc. This side tank design turns an otherwise tough radiator swap into a simple installation using a few drilled brackets. If you have any questions about this product by Flex-a-lite, contact us by completing and submitting the form below. If you are looking for a specif part number, please include it with your message. © 2019 - boogaloofestival.com. All Rights Reserved.